This past summer I attended the Home Business Summit in Long Beach, CA where I met John Chow, Matt Lloyd, Terry Lamb, Vince Reed, and many other superstars in the internet marketing industry. I learned more valuable content in that one weekend than I did my entire first year in internet marketing alone. I don’t know everything there is to know about internet marketing; but what I do know is when you can learn from people who know how to make $40,000 to $300,000 per month, you don’t miss that kind of opportunity. Is it really all about the list? A week ago, I would have said yes; in today’s light, however, maybe not. It all really depends upon context. It’s been about a week since I attended the Home Business Summit and got my MOBE License Rights; it’s been a week of perspective and some shift changes. I went there to meet John Chow, find out about list building, and get more info on this business I’d been hearing about with Matt Lloyd and MOBE; but I left with so much more. 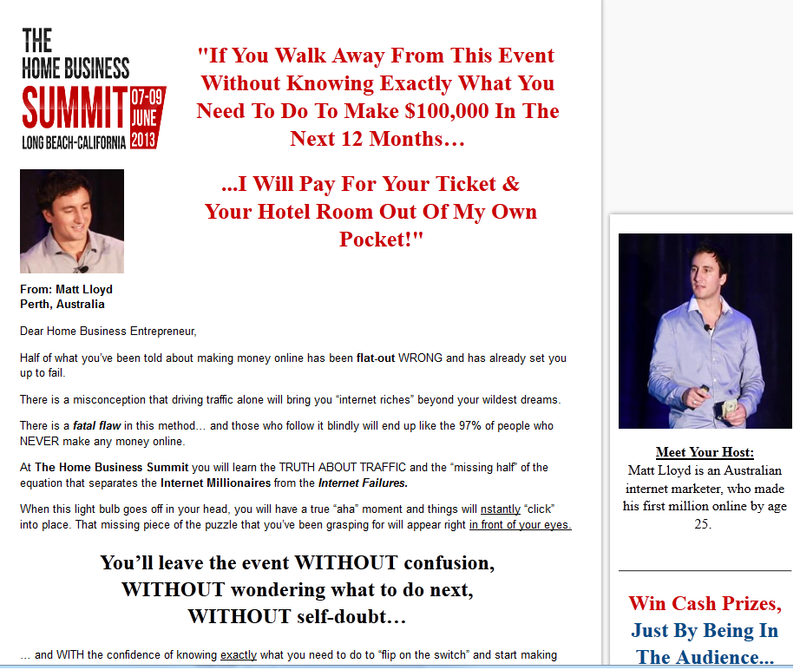 For the biggest take away, I learned why I only generated $2,000 revenue in my first 9 months as an internet marketer. It wasn’t the size of my list, the quality of my offers, or self-limiting beliefs; it was the lack of a high converting funnel, high commission offers, and skilled automated, live follow-up. The biggest factor, though, was the availability of a high converting funnel. First Post for SouthernProfit.com – Learn to Make Money Online. Hello Everyone. Thank you for visiting my site. I will be packing this site full of information on internet & affiliate marketing, blogging for money, and the stock market (not limited to stocks & options, e-minis, Forex, Day Trading, etc…). Basically, anything which can make you money will be found here.